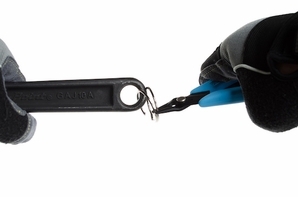 3M� DBI-SALA� Quick Rings are an economical solution for making tools tether-ready quickly. Ring Pliers can be used for easier and faster Quick Ring installation. Available in a variety of sizes. Quick Rings can be threaded through a pre-drilled hole on a tool to create an instant attachment point. Ring pliers can be used to make the installation process easier.